As Picasso notes, children are born artists. At Studio-Kids, we strive to harness this innate artistic ability, in part by fostering an environment where kids learn from each other. 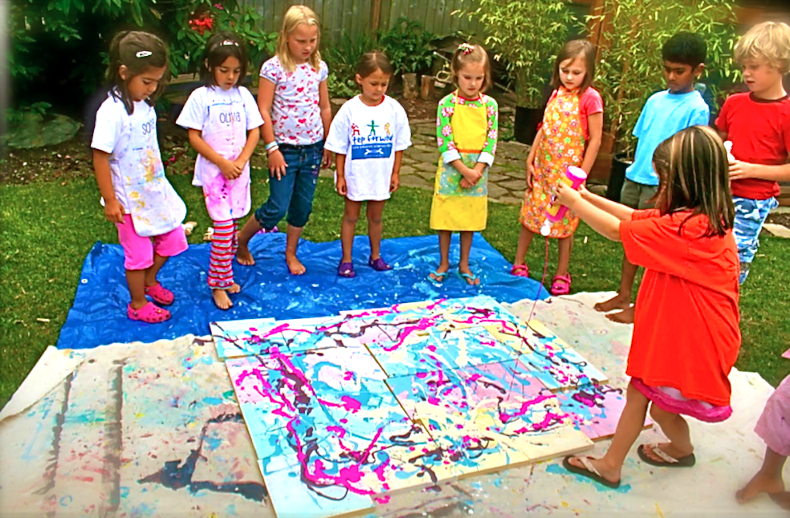 Shown below is a photo from a summer camp where we studied a few masters, including Jackson Pollock. The children collaborated on a Pollock style drip painting; once completed, each child selected a piece of the shared project to take home. We draw from an ever changing arrangement of still lifes as well as from our beautiful garden. On occasion, we bring in chickens and other fun subjects to draw. We observe familiar objects in different types of light. For example, we often play with the lighting to emphasize round objects as we learn how to shade effectively. Our goal is to encourage kids to closely observe and pay attention to the many details they see in their drawing subjects. 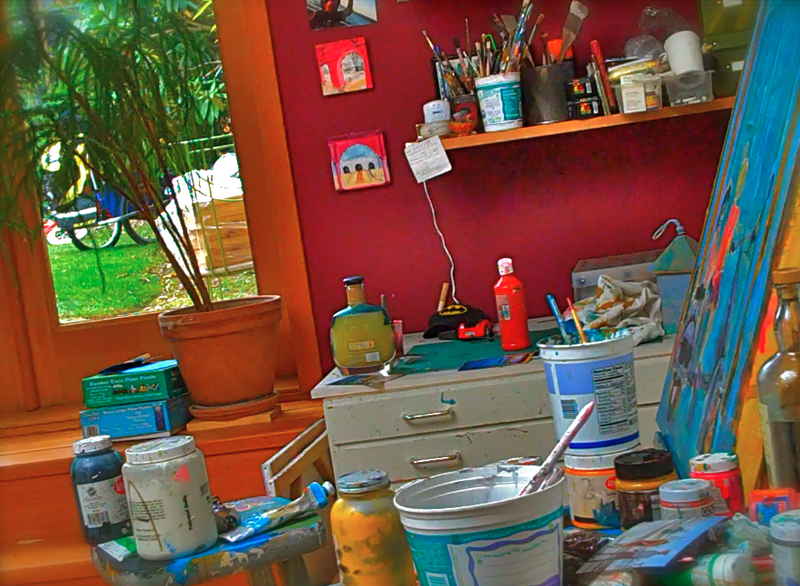 We use a wide variety of professional artist materials and explore their unique properties. We examine the different lines each tool makes -- for example, we examine whether it smudges with your finger or is water soluble. We combine materials to observe different effects. For example, we mix our paint to understand how to create desired colors. Color theory will be introduced as we control the palette; for example one day we will only study warm colors such as yellow, orange and red. On another day, we might focus on cool colors such as green and blue. On yet a different day, we might study complimentary colors such as blue and orange; we might examine why this matters when, for example, affecting the mood of a painting by making certain areas calm and others more energetic. With art work on the walls, music in the air, big bright windows, and french doors leading into the garden, the art possibilities are endless.